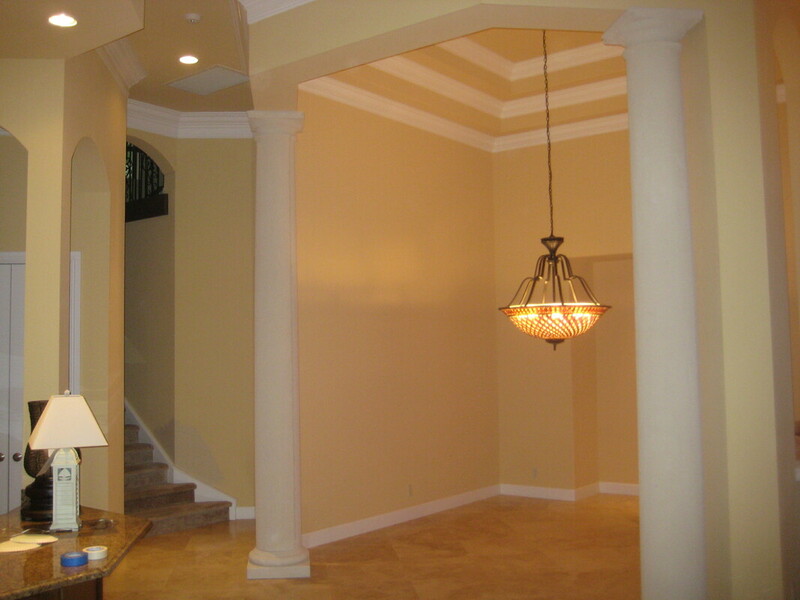 At Top Rank Painting we use a systematic approach to deliver the quality Interior Painting that we have promised you. Below are the general steps that we will take for your interior painting project. Each situation is unique depending upon your needs as outline in your proposal. We'll cover the floor with plastic and drop cloth. All furniture covered with clean and new plastic sheeting. All holes and cracks are filled and patched and surfaces are scuff sanded. Furniture is moved back to desired location and floor is vacuumed and swept. We'll do a complete inspection of the job and you are invited to inspect our work and give us your feedback.